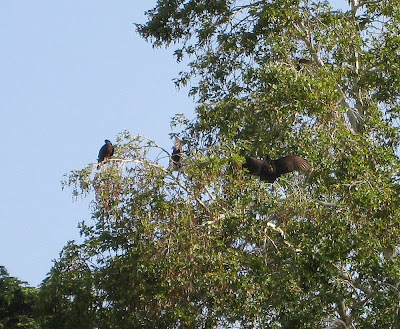 The one just right of center with its wings spread. You are so lucky to see these birds when they are perched. I only get to see them here when they are soaring high up in the sky.